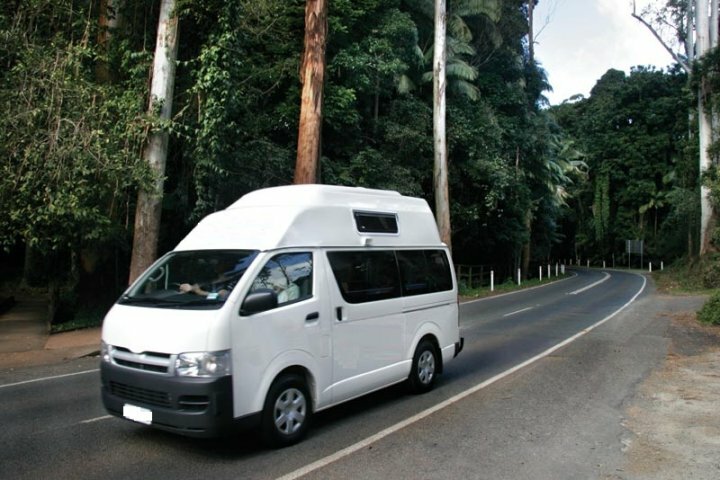 "Review of my Bargain-car-rentals hire"
Started as a small campervan hire in Tasmania, Bargain Car Rentals now offers its range of great value for hire vehicles to other parts of the country. In total, they have 10 branches that are equipped with pet-friendly campervans and 4x4 adventurer. Bargain Car Rentals offers amazing campervan and car rentals at superb rates. They make every effort to ensure you get the most out of your hiring experience. 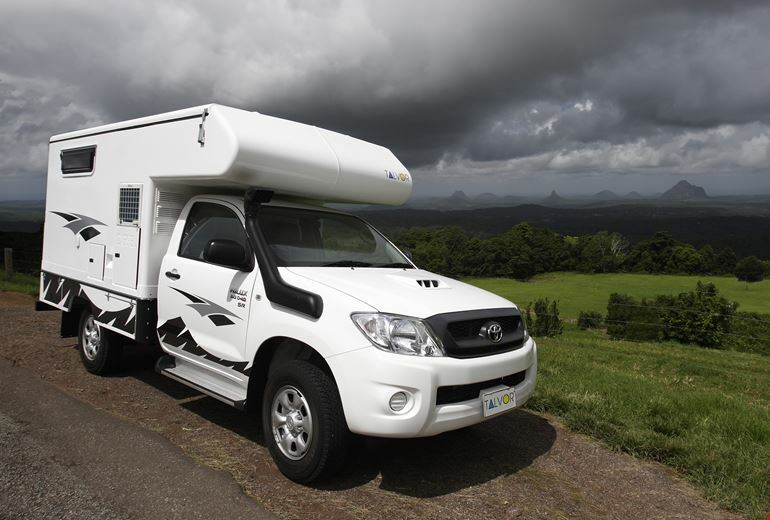 It begins with an extensive fleet that is not just limited to campervans but also includes motorhomes, cars, buses, utes, vans, and trucks. Aside from that, you can expect for a more convenient road trip as there are plenty of branches speckled all over Australia. 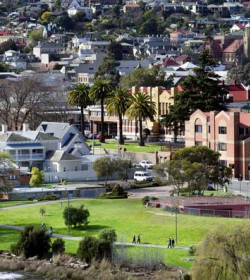 Distinctively, they are one of the few rentals in Tasmania that caters to drivers under 25 but over 21 years old. 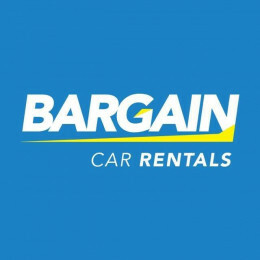 Compared to most small companies in Tasmania that only offer a very limited fleet, Bargain Car Rentals gives you a lot of options, ranging from campervans to cars. 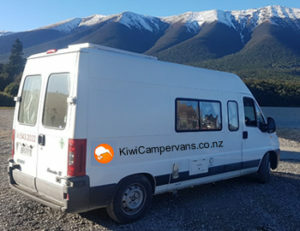 Into their campervan selection, there are choices for solo backpackers, couples and families―2/3 campervan, 4/6 berth motorhome, and even a 4x4 adventurer. The great thing about this company is they allow most of their vehicles to go on unsealed roads, giving full access to panoramic Tasmania’s National Parks and Forestry tourist spots, particularly the beautiful Bruny Island. Plus, these are pet-friendly units for rent. 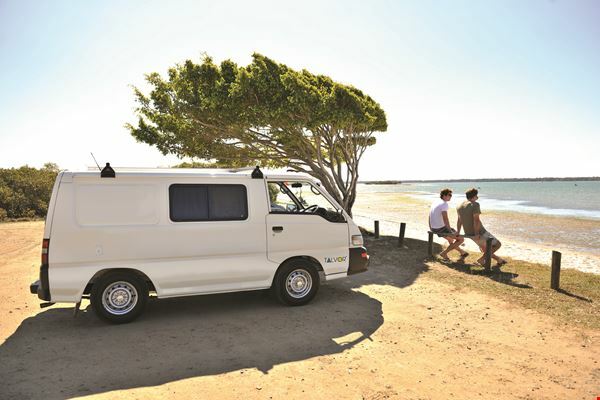 Travellers in two can comfortably relax inside this simple yet functional Aussie Campa. This manual transmission that runs on unleaded fuel features dual battery system and 240V/12V lighting. 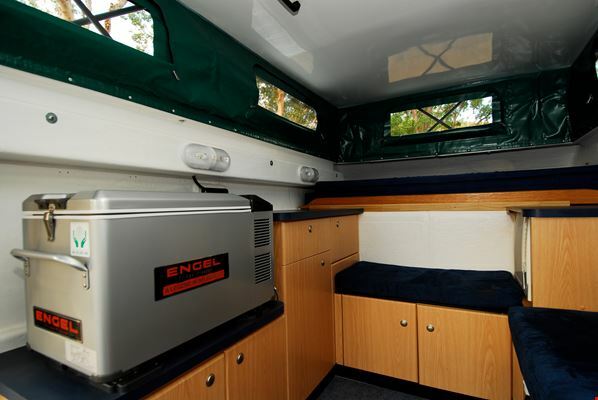 Couples will love the fitted-out amenities including a 240V/12V fridge, portable gas cooker, and radio. The double bed comes from the convertible dinette. If you want a fancier and a bit pricier holiday on the road, then opt for the 2 berth Mercedes Sprinter or similar campervan. 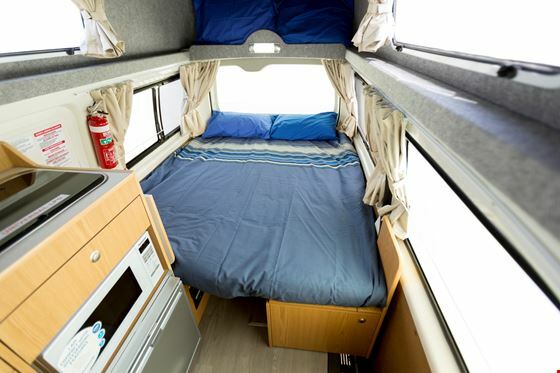 Bringing a lot more comfort and style that aren't included in the Aussie Campa, you'll enjoy the interior shower & toilet, microwave, 2 burner gas cooker, CD player and more. 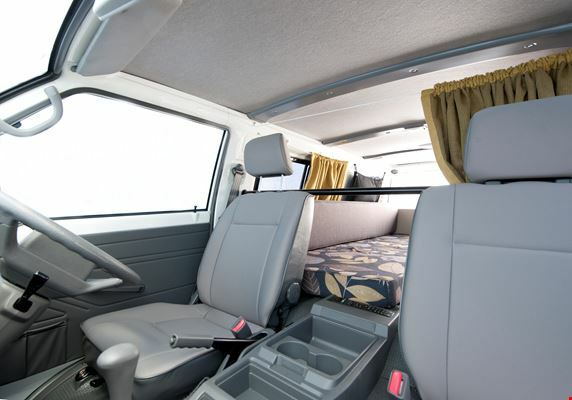 A step-up in terms of sleeping capacity is the 2/3-berth campervan, which is ideal for couples with a child as the vehicle comes with a child seat restraint in the rear. 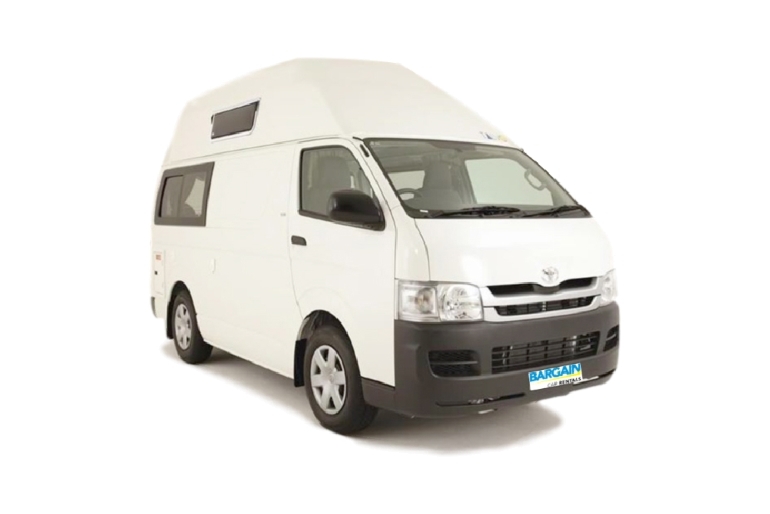 This manual campervan provides a lot more storage capacity and more improved features than the previous two. The dinette converts into a double bed at night and there is a single bed in the roof area, giving more space for the entire family. Moving on there's the manual 4 berth campervan than caters the entire family and still leaves ample storage capacity. All camping facilities are also included such as 2 burner cooker, 240V/12V fridge, and radio. Because of the child seat restraints, 2 children can comfortably seat at the rear. 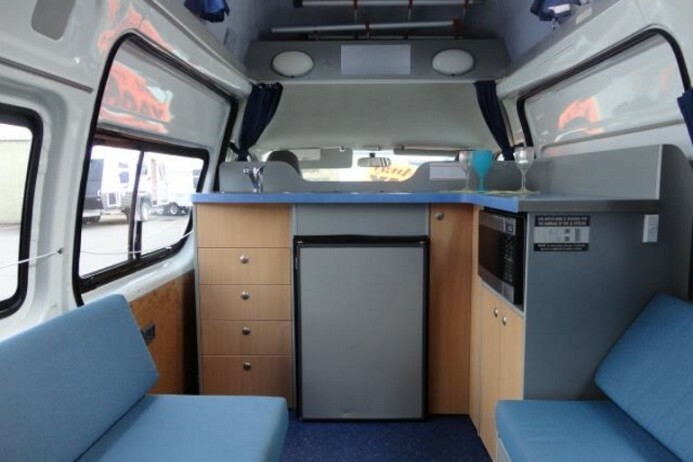 The dinette easily alters into a double bed while the area at the back of the driver's and passenger's seat is allocated for the L-shaped kitchen area. 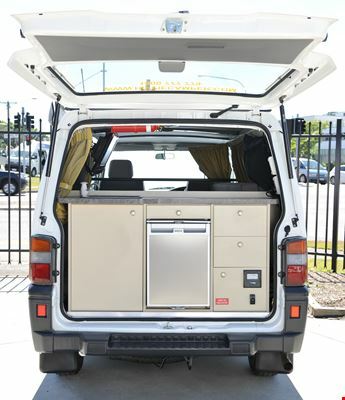 The last pick in the campervan department is the automatic 4x4 Adventurer that is also loaded with everything you need such as gas cooker, fridge, double bed, and awning but is only available in Darwin. Liability reduction comes in different packages: Bronze, Silver, Gold and Platinum packages. For all campervans/ motorhomes, you are required for a holding deposit of $500. 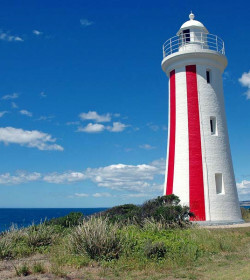 But by paying an additional of $35 per day, the deposit, as well as the insurance excess and single vehicle accident (SVA), will now be reduced to $0. Though this insurance option (Platinum) is the most advisable, it is only available for rentals exceeding at least 48 hours. The Gold package lets you pay $25 per day so that the excess will be $0 and the SVA will be lessened to $1,250. The Silver only requires $15 per day, and the excess will be reduced to $1,250 and SVA at $4,000. And if you don't want to shell out additional money for insurance, then liability payable is at $3,750 and SVA at 5,500. 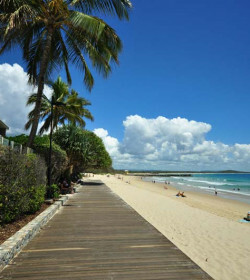 Bargain Car Rentals is quite known to be offering a large selection of vehicles and multiple depots, giving them a slight edge among smaller companies. Their rates are quite competitive too. But despite the extensive fleet and cheaper prices, there are lots of issues about poor vehicle maintenance, and worst, denial of the booked vehicle on the day of the trip because of availability problems! Well, it's advisable to verify your booking ahead of time to avoid such mess. As a result, this puts the company into the limelight as there are several negative feedback. The list does not end there as many customers previously noted concerns about insurance disputes and denial of the booked vehicle on the day of the trip. Accordingly, Bargain Car Rentals is could be a pleasant pick if you consider their numerous vehicles on the fleet at competitive rates, along with the several depots. But of course, rent with caution. Good car, old interior.. hat everything tho..
4wd practicability was good... Just the tyres were only made for bitumen roads.. 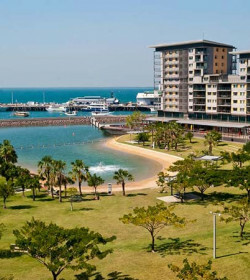 Pick up from airport in Darwin was excellent. Reception desk was okay. We took out top insurance cover and therefore would not need to pay any more should we have an accident. No paperwork was completed before leaving Bargain Car Rental office, in relation to prior damage to the vehicle. (I took photographs all round the vehicle for my own protection). Fridge stopped worked during the first night, we went to Battery World for their option on the second battery. They said it was not holding a charge and was an old battery, so they replaced it with a new one at Bargain Car Rental's expense. The gas cooker on the outside of the van did not function properly so we purchased two butane burner stoves from K-Mart and used those. There was a section missing in the entrance door to the van which let flies and mozzies in, so we put a piece of flyscreen in this section to keep them out. Became difficult to operate the handle from the inside unfortunately. Also there was no cleaning equipment, so this needed to be purchased. Having said all this, we had a great time travelling around, once we overcame these issues. We made it as comfortable as we could. Luckily for us we are used to camping/motorhoming and knew what we needed to make it all work. Would definitely do it again. "Van drove... but that was about it!" Car had multiple faults and there head office is not currently assisting me with my complaints. Very disappointed with my experience so far. 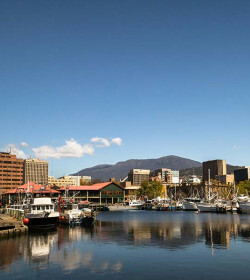 I hired a van with my partner to travel around Tasmania (the 2 berth 'Aussie Campa'). Our van was advertised as having a second battery to power lights, a fridge power points etc. Travelling in winter, we required these features to feed us, keep us warm and allow safe travel throughout the ten days. Our battery was completely broken. The only way to get power was to pay extra for powered sites at each camp site. Upon doing so, we find that only some of the features worked despite being directly powered! We were left without lights or a fridge. We threw away a whole weeks worth of groceries, and ended up spending more to feed ourselves. As well as that, our itinerary had to be changed, and we spent more to pay for powered sites every day (rather than the expected every second or third day). Additionally, the car did not secure as the back window simply slid open (and did so whilst driving in the rain), and the passenger side roof leaked. We could not leave valuables in the car. I have contacted Bargain first at their Hobart Airport desk, then via email, and today via phone. I was told my case manager was away indefinitely and that no one else could help me. The lady I spoke with was rude, and in a rush to get me off the phone. I asked to speak with anyone else and she simply repeated that my case manager was away and they don't know when she will be back. As of yet, I have received no correspondence, no expected call back date and have been left with no other avenue to follow up my complaint. I feel like our attempt to save some money was not worth it. Pay extra, and hire with a larger more reputable rental company! I will update my review if I hear back from Bargain. We had a terrific time and the camper van was ideal for our needs. No mechanical problems, great customer service at pick up and also when we reported an oil lamp flashing (The oil had been overfilled apparently which also resulted in fumes in the cabin) A few minor bits were loose (Window button and brake cover) and the water level indicator did not work. Overall we spent a very comfortable 12 days which was also good value. The vehicle was well travelled with nearly 400,000Km on the Tacho. However it was well maintained mechanically and did not falter nor did it not perform at any stage over the 41 day hire period. Whilst there were some minor issues such as opening the fuel door and one of the two gas jet burners, these were not major issues. The level of cooking equipment could have been better and would have enhanced the experience. Terrible experience with the Launceston Bargain Car Rentals. I called the office to book as I had some extra questions about the campervans before I went ahead and everything seemed to be fine. When arrived we were asked about what insurance we wanted. I said I had already told Ben over the phone that I was going with zero insurance (after renting cars &amp; campers all over the world and never having an issue, I am prepared to pay for any damage in the unlikely event). Ok, said the manager, you will need to leave a $3500 bond. WHAT?! He then advised that this policy is in the fine print on the website, which is all well and good, but I booked and paid with my card OVER THE PHONE. As someone on a very tight budget, any mention of $3500 would have certainly got my attention on the phone call! After some back and forth we were pretty much forced to pay an extra $250 for their gold insurance (which requires no bond). Leaving a bond is not the issue I have here. The issue is that by not mentioning it at the time of booking, you are not giving anyone the chance to prepare, perhaps get an extension on a credit card, and then putting them on the spot at the desk to make a quick extra $250. Appalling. Not many travellers i know have a spare $3500 floating around, and if you do, you are probably going to look for better quality transport than that on offer here. To add insult to injury, when we got to our first beautiful camping spot by the beach, i wanted to wash the filthy cutlery but the water tank was completely empty, leaving us unable to clean any dishes, fill up drink bottle, etc, and had to waste time finding an RV park that would let us refill. I do not mind cheap old cars in the slightest, but a bit of maintenance and general customer service would have gone a really long way. Pls DO NOT get a car from these guys. They do not provide any road side assistance if there cheap car breakdown outside business hours. On the top of it there insurance doesn't even cover damages. I had paid for a platinum insurance with $500 access and still they charged me $2500 for damages, which were only scratches on the rear bumper and there insurance didn't event reimbursed me and I am very sure guys would have still got money from there insurer, so they got money from me as well there insurance provider. There support is Very POOR !!!! I had to call them at least 20 times to get an answer and after all this Michelle Montgomerie from there head office said it was my mistake I did not called them to inform about the accident, which I did and even showed call records. An expensive lesson learnt to never go with cheap rental companies like Bargain Car Rentals as they end up costing more.